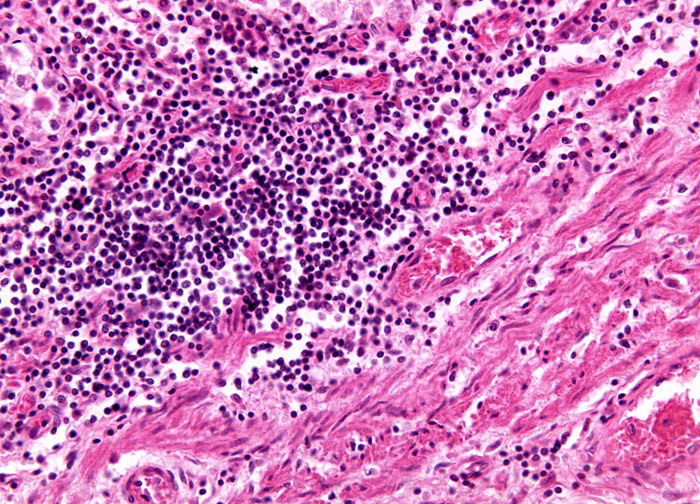 An ulcer is a lesion of the skin or mucus membrane that forms an open sore as inflamed tissue undergoes necrosis and is subsequently sloughed. The most familiar form of ulcer is the peptic ulcer, which affects approximately 10 to 15 percent of the worldwide human population. Peptic ulcers may be found anywhere within the gastrointestinal tract, but occur predominantly in the mucosa of the stomach or the duodenum, which comprises the upper portion of the small intestine. The incidence of the two main types of peptic ulcer varies significantly according to gender, region, and age.